Shipping marks can be defined as a symbol, word or number that is attached on to the each package unit for easy identification and handling of the cargo. Packages, which are subject to international transportation, must be spotted and recognized at a distance with ease. Exporters and carriers add some sort of identification marks on to the packages in order to make sure that they are handled correctly and efficiently during the whole transportation process. On this post, I will explain the shipping marks and how they are used in letters of credit payments. What is Shipping Marks? / How to Define Shipping Marks in International Freight Transportation? Shipping marks are vital parts of the international freight transportation. 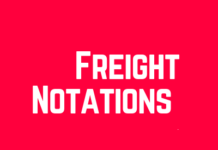 Why Shipping Marks are Important in International Freight Transportation? Thanks to the rapid advances in logistics technology, the global freight transportation infrastructure could handle enormous volumes of cargo annually. In 2008, more than $16 trillion of exported freight was transported worldwide. All operations in international freight transportation must be completed smoothly from beginning to end. Domestic transportation and custom operations in exporting country, international cargo transportation between exporting country and importing country, custom operations and domestic transportation in importing country should be handled as fast as possible to prevent any delays and occurrences of extra costs to the exporters and importers. In order to prevent wrong delivery, accidents, losses, customs penalties or damage resulting from improper storage or incorrect handling, each package unit must be marked with the required shipping marks correctly and completely. Figure 1. 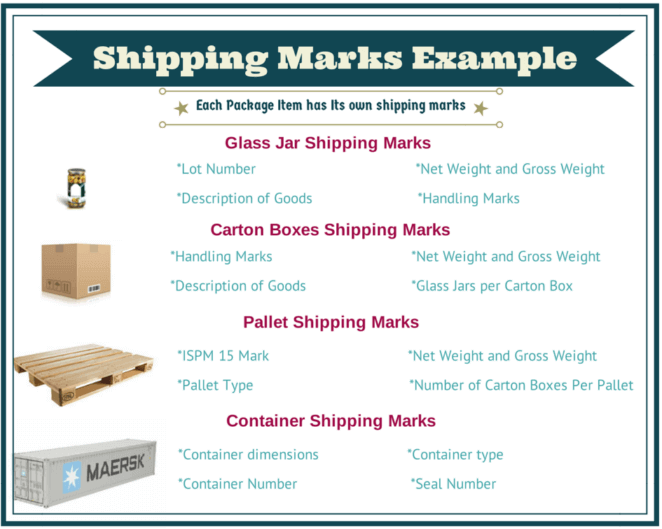 Shipping Marks: Each package unit must be marked with the required shipping marks correctly and completely. Above graphic explains the usage of the shipping marks in an international freight transportation starting from the smallest package unit to the biggest package unit. An Italian food manufacturing company needs to send two pieces of 5kg Tin Fresh Pizza Sauce to an importer located in New York, United States. Italian Food Company places two 5kg tins of Fresh Pizza Sauces in to a cardboard box. The dispatch will be made via express courier service. Shipping Marks Attached on to the 5kg Tin Packages: Description of goods, lot numbers, production date, expiry date, net weight. Shipping Marks Attached on to the Cardboard Box: Description of goods, origin of goods, handling information, inner package type and quantity, net weight. gross weight, consignee details. A Moroccan textile manufacturing company wants to export one container of men’s’ underwear to an importer located in Paris, France. Packing of the container will be as follows: 10 pcs of men’s underwear put into a carton box, then 70 cartons put on to a wooden pallet. 40ft container loaded with 21 pcs of 100cmx120cm pallets. Which Documents Should Show Shipping Marks? Almost all export documents could show shipping marks in a different scale. Some documents may cover almost all of the shipping marks that is related to the shipment, whereas some documents may reference to one or two shipping marks. The packing list should cover as much shipping marks as possible. In addition to the packing list; the bill of lading and commercial invoice should cover the related shipping marks. Which Documents Should Not Show Shipping Marks? 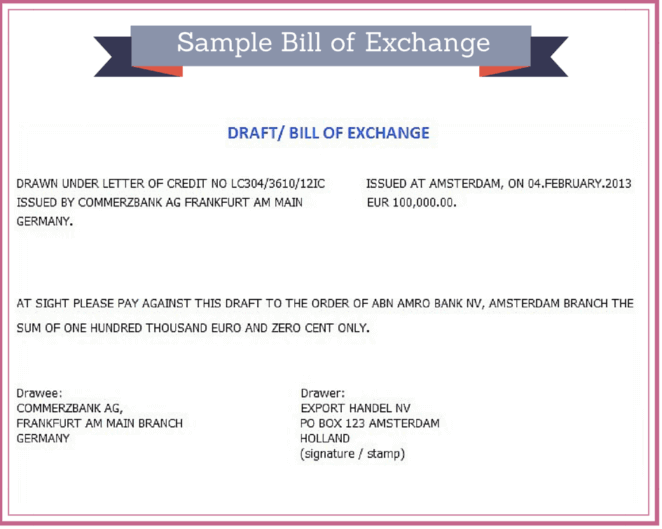 Bill of exchange (draft) should not cover any shipping marks on it, except the letter of credit number. Bill of exchange is a negotiable instrument and the format of the bill of exchange regulated by the local law. Any unrelated reference in the bill of exchange may make the document void in terms of respected local law. As a result exporters must refrain to add any shipping marks on to the bill of exchange. 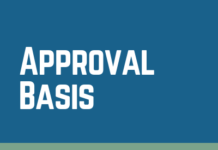 How Shipping Marks Are Used in Letters of Credit? Beneficiary’s certificate stating that all cases are marked by black ink as follows: name and address of applicant, purchase order number, letter of credit number. 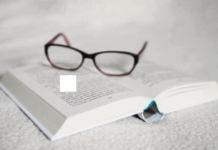 Shipping documents must show the name and address of the buyer and the letter of credit number, packages must be marked with shipping marks and buyer’s reference. Beneficiary’s certificate stating the above has been complied with must be presented. The letter of credit number, Form “M” number and BA no must be mentioned on all shipping documents relating to this letter of credit. What Does The Letter of Credit Rules State in Regards to The Shipping Marks? Current letter of credit rules are silent in regards to shipping marks. We can find related explanations in ISBP 745 between articles A32 to A34 under the heading of “Shipping Marks”. a. Transport documents covering containerized goods often only show a container number, with or without a seal number, under the heading “Shipping mark” or similar. Other documents that show a more detailed marking will not be in conflict for that reason. b. The fact that some documents show additional information as mentioned in paragraphs A33) and A34) (a), while others do not, will not be regarded as a conflict of data under UCP 600 sub‐article 14 (d). Shipping marks are a very loose term. As a result any symbol, word or number can be considered as a shipping mark in export and import transactions. All shipping documents could contain one or more shipping marks except the bill of exchange. Only letter of credit number can be written on in the face of the bill of exchange. Each packing unit may contain different types of shipping marks. Shipping marks used for the carton boxes may differ from the shipping marks of the container. If you are dealing with a letter of credit, you must make sure that you can supply the required documents as per letter of credit terms and conditions including shipping marks. Remember some documents will be created by official institutions according to inflexible bureaucratic methods. 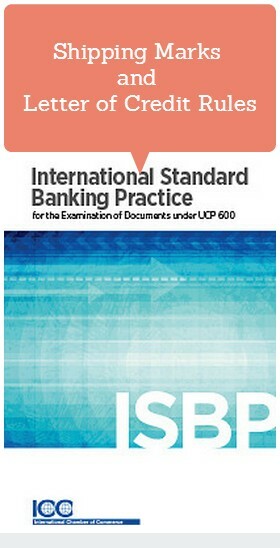 You may not be able to put a shipping mark on one of these documents. 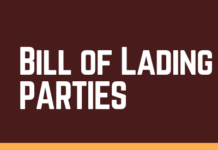 Previous articleWhat are the differences between received for shipment bill of lading and pre-printed shipped bill of lading? Next articleHow to Cancel a Letter of Credit?